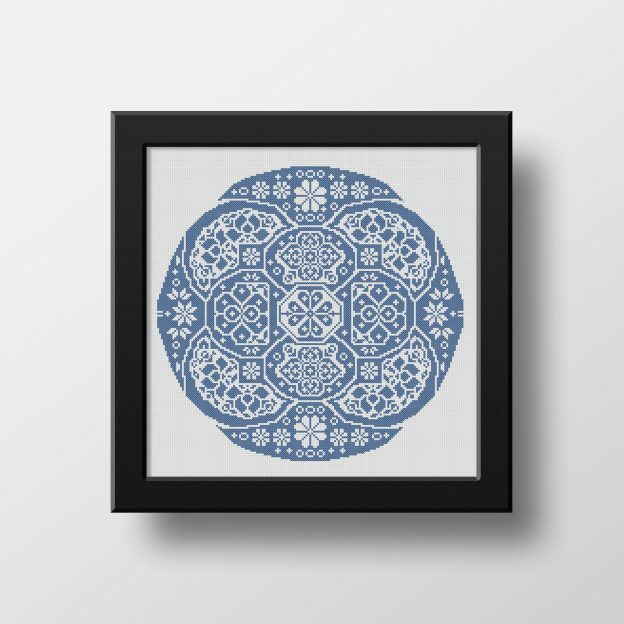 Chinese Traditional Folk Floral Mandala is a cross stitch pdf pattern recreated from a museum piece which is believed to have been first created between 1850-1900 in Western China. Originally embroidered with blue thread on unbleached linen. I’ve been coming down with a nasty fever, but as I slowly wait for it to past I have not exactly been lazy. I came across an embroidered panel at the Museum of Fine Arts (Boston) and decided to see if I could make something out of it. The different roundels on it are absolutely amazing and I hope I did it justice. 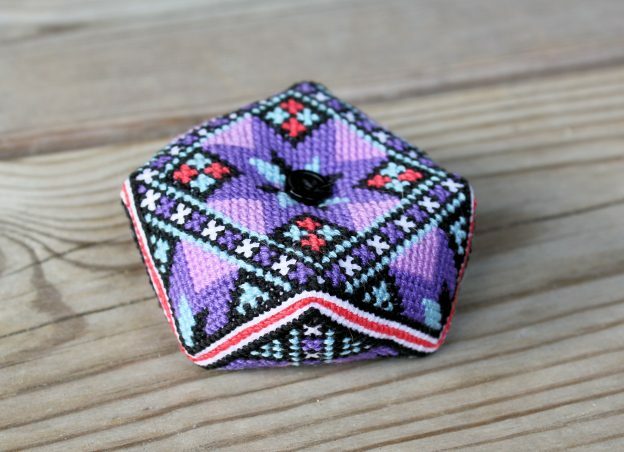 If you like this pattern you can find it in my shop. This entry was posted in Shop and tagged chinese, shop on 12. December 2018 by Elise. 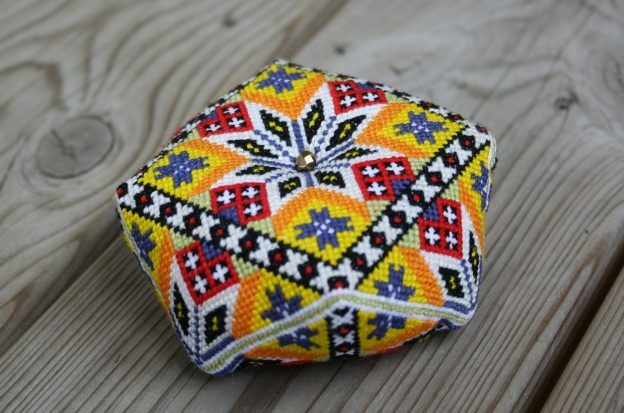 So I know I originally said “Scandinavian embroidery”, but there is so many beautiful things out there it seems like a shame to restrict one self. 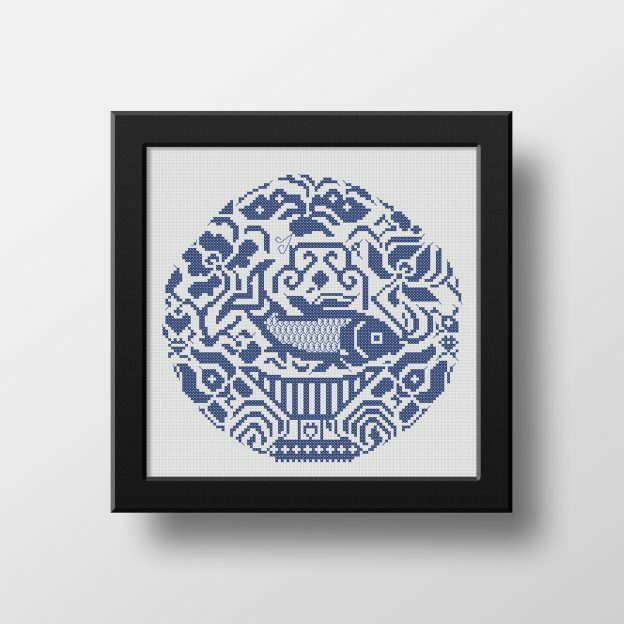 This beautiful carp roundel was made somewhere between 1880-1920 as part of a wedding valance in the Yunnan province of China. It had four other roundel motifs on it which I might reconstruct as well. Evidently, the carp lays quite a lot of eggs and are therefore a symbolism for fertility. This entry was posted in Shop and tagged chinese, shop on 10. December 2018 by Elise. 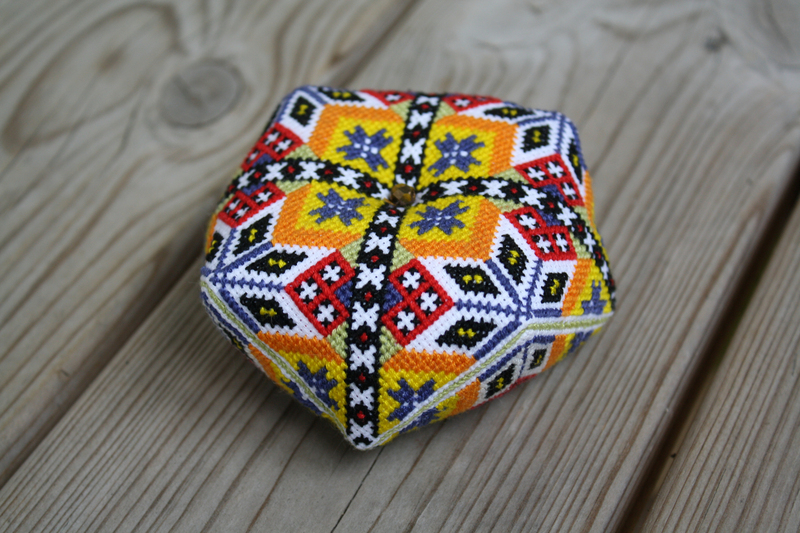 I love the traditional Norwegian patterns for the “bringeduk” because they come in some many different shapes and patterns and on top of that, everything changes depending on the colours you use. This one is very yellow and I stayed as true to the original colours as I could. Its a very good size and is slightly bigger than my hand. 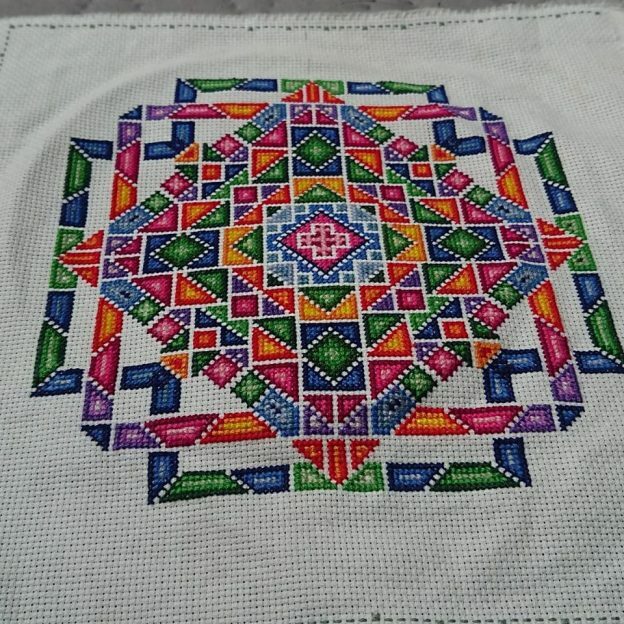 It was a lot of fun to make, although I did stitch like crazy to finish before I leave on vacation in three days. As always, if you want to buy this pattern so you can make it yourself, please click here to get to my Etsy shop. This entry was posted in Shop and tagged norwegian, shop on 8. August 2018 by Elise. It’s been made clear to me that the frameholder I bought long ago is not working well for me. It might be that my chair is all wrong or that the frameholder is just positioned wrongly regardless of my adjustments. 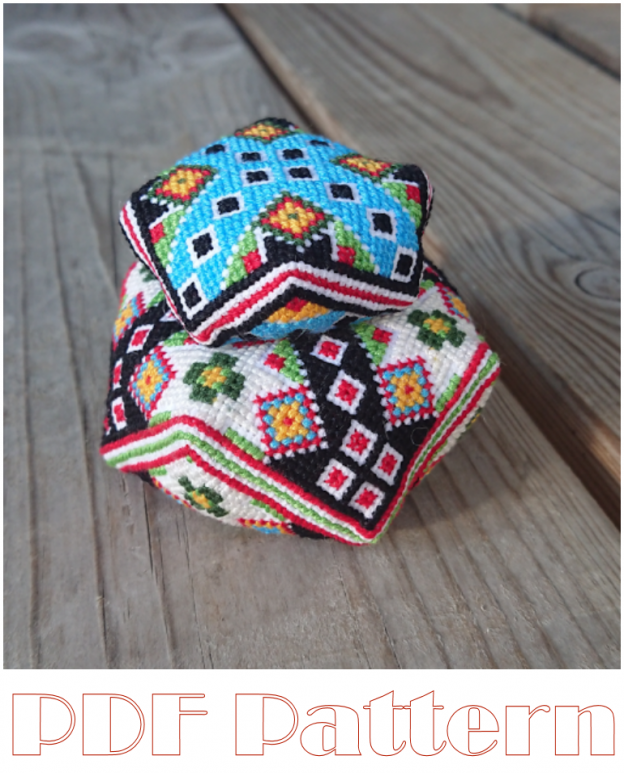 Either way, making 4 different biscornu pincushions in one month certainly left its mark. Or should I say, left a constant pain in my back and neck. 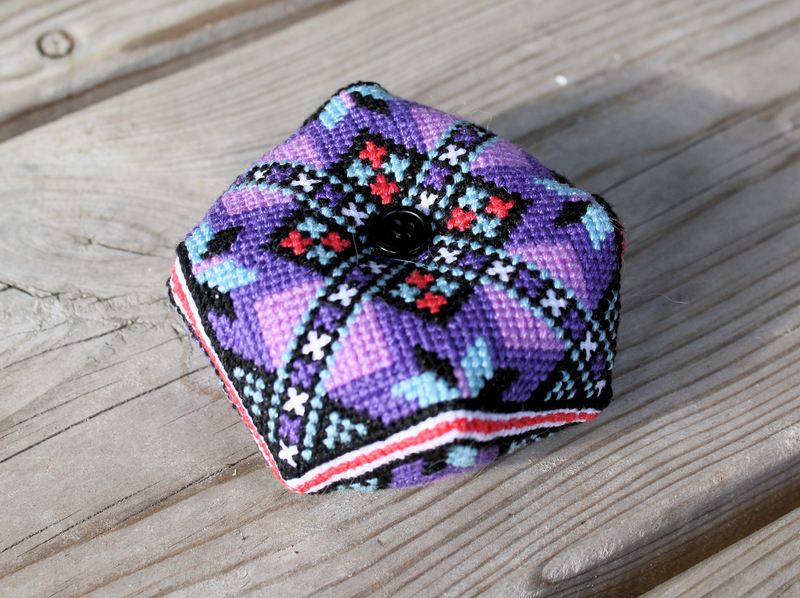 So this will be the last biscornu pincushion for a while as I after all have a vacation coming up aswell. I plan on spending my vacation in Denmark going through antique bookshops and secondhand shops sweeping the kingdom clear of old embroidery work and charts. This entry was posted in Shop and tagged norwegian, shop on 16. July 2018 by Elise. The deer has apparently been my spirit animal for quite some time. It started when we were testdriving our then new car. A wonderful Ford Mondeo stationwagon which we later named “The Madam”. It was the very first car we bought and we were over the moon. During the test drive, however, a doe running in panic across a field almost crashed into us. But luckily it turned away just in the knick of time. I never thought much of this incident other than “woo, wildlife!” as I was not used to seeing a lot of the local wildlife despite having lived here half my life. A couple of years later the Madam sadly couldn’t cope anymore and had to be sent to the everlasting Highway of Heaven. At this point we were testdriving a Volvo c30. And as we were driving up a hill I’ve driven a thousand times before, all of a sudden a doe is running like a maniac across the road. I look to see where it came from and behold, a stag standing amongst the trees as bewildered and confused like the rest of us. As we drive on I finally say “Well, now we have to buy the car. The deer has spoken.” And so we did. And we still have the car, and we’ve seen so much wildlife while driving it it’s unbelievable. 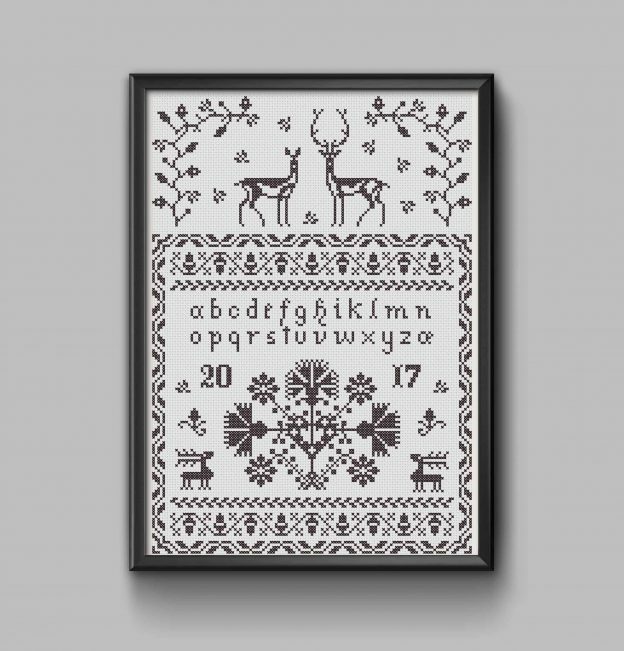 A deer is such a beautiful animal and I really loved putting this sampler together. 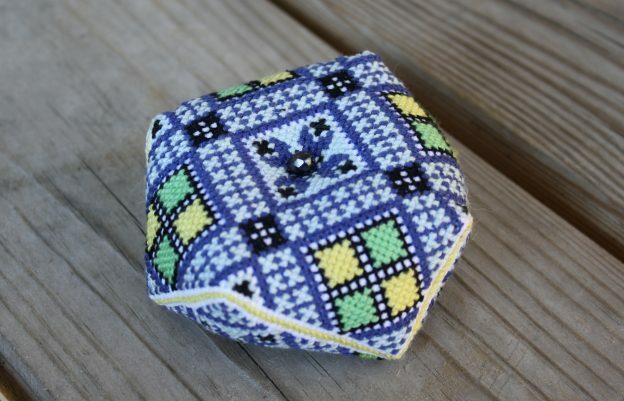 If you’re interested in buying the pattern you can find it in my shop here! This entry was posted in Shop and tagged norwegian, shop on 12. September 2017 by Elise. 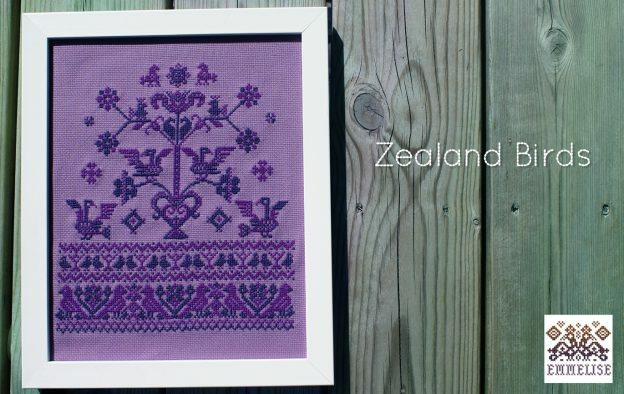 On the island Zealand there are two distinct types of embroidery. 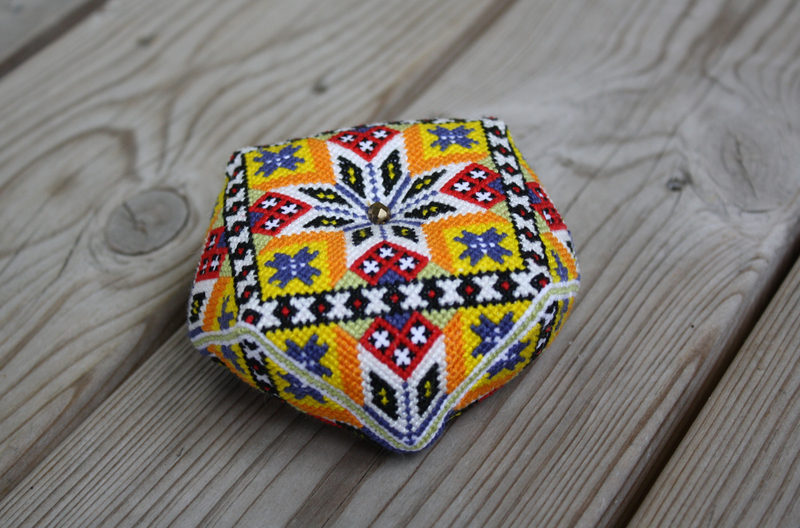 One is called Hedebo embroidery. 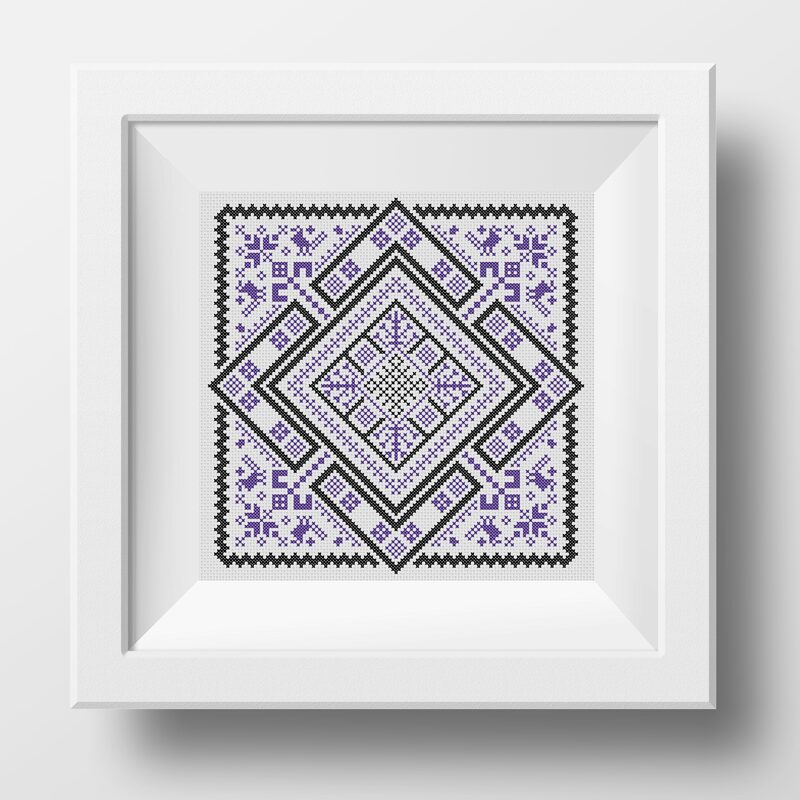 Hedebo embroidery covers several forms of white embroidery which originated in the Hedebo (heathland) region of Zealand, Denmark, in the 1760s. The varied techniques which evolved over the next hundred years in the farming community were subsequently developed by the middle classes until around 1820. They were applied to articles of clothing such as collars and cuffs but were also used to decorate bed linen. 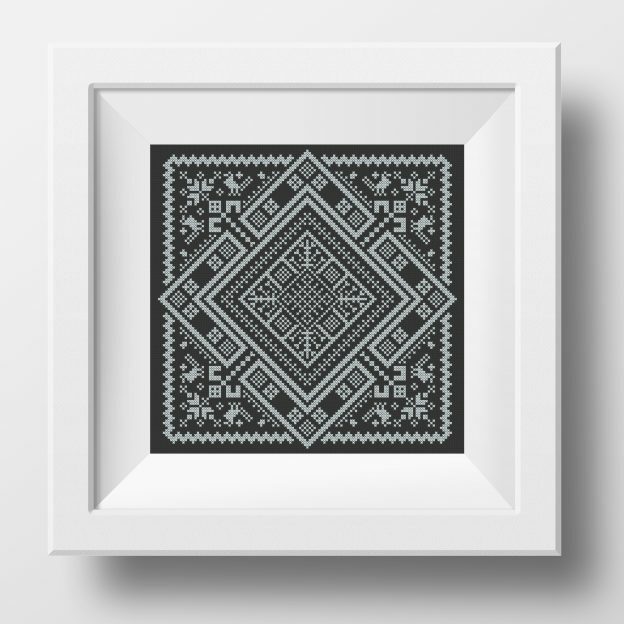 The other type of embroidery was Skovbo and had its only peak in the mid-19th century before almost disappearing. The referance “Skovbo” meant it was tribute to the woodland areas of Zealand, Denmark. They were in two-tone colours (red & blue) with a variety of sampler motifs. I’ve dawn up 2 samplers with this Skovbo technique in mind, both featuring birds as Zealand also has a very rich variety in birds. The second version includes poetry by John Keats. This entry was posted in Shop and tagged danish, shop, zealand on 25. July 2017 by Elise.